Here are some photos from a trip Radek and I made to Michigan, where my parents live, in October 2014. A couple places we went were Ann Arbor (University of Michigan campus), and the Detroit Institute of Arts. Unfortunately it was overcast and rainy most of the time, but that is typical October weather. The colorful fall leaves were nice nonetheless. 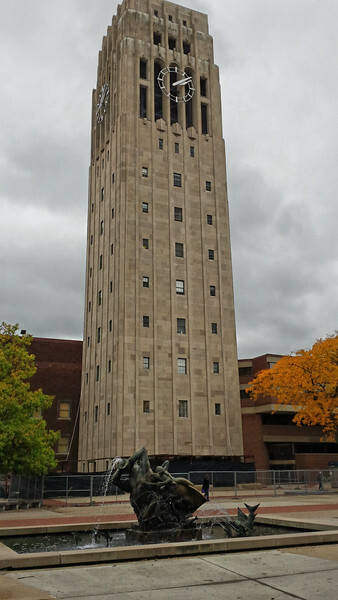 Burton Memorial Tower at the University of Michigan.